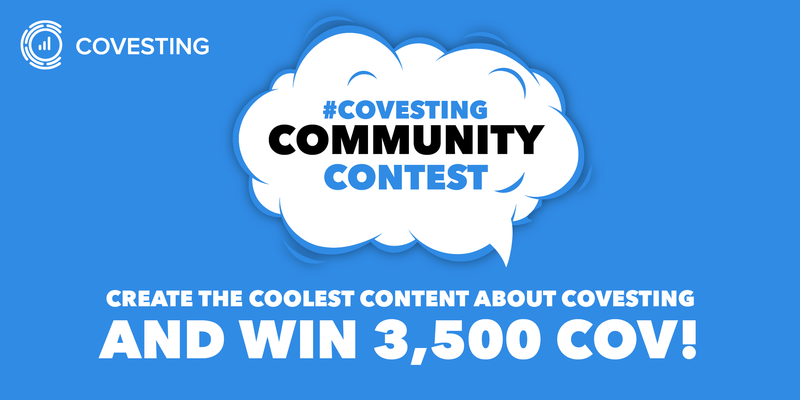 Covesting announces its first community contest with a total prize of 3,500 COV! We are grateful to be the foundation behind such a community full of selfless folks –each one of you is a blessing for Covesting’s journey. We would like to take this opportunity to thank all of the supporters of Covesting for all they have done to make Covesting the way it is. We are grateful for the work and moments you create. That is what pushes us to grow. We have noticed how many erudite and artistic community members there are and for that reason we’re really excited to announce our first community contest! - You are allowed to submit up to 7 entries. - All entries are required to be in English language. - All entries should have a backup in Twitter. - All material should be original content. Copyrighted material is not allowed. - Offensive/Misleading material will be disqualified. • Upload your submission to the Covesting’s official reddit (If it’s a blog post or a video, post a link to it with a small explanation of the content). The jury for the contest will be the CEO of Covesting — Dmitrij Pruglo and the community manager of Covesting. 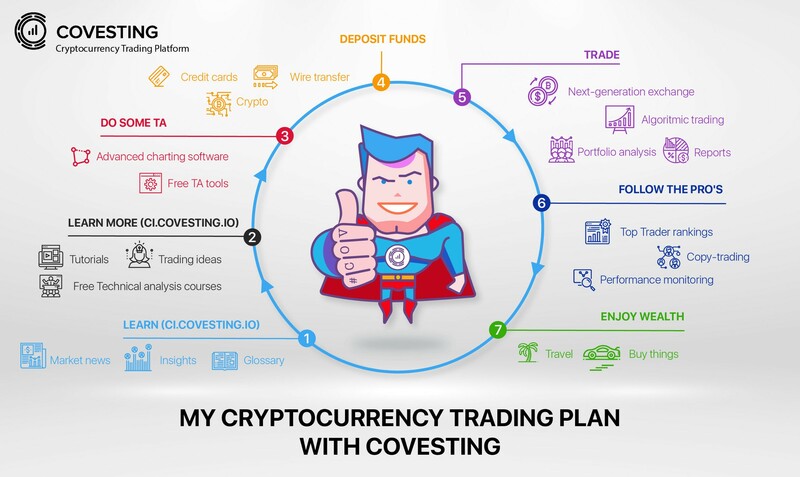 If your entry is amongst the winners in the competition, you agree that the winning entry will immediately become the sole and exclusive property of Covesting, including copyright privileges, and you agree to forfeit any ownership and copyright claims to Covesting. This now means that Covesting can legally use any portions of any graphic submitted without further permission from the entrant. We are really excited to see what you can come up with! Secure and user-friendly cryptocurrency exchange and copy-trading platform. Based in Europe - Trusted Globally. Cryptocurrency Trading Platform with the most complete and professionally handled infrastructure for investors and traders.